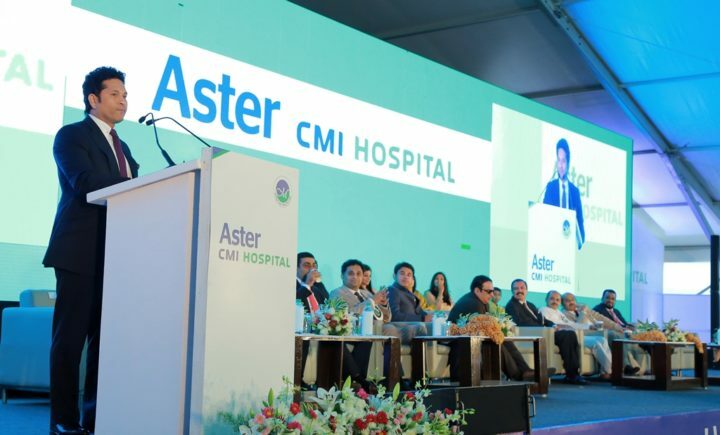 Bengaluru, August 27, 2016: Aster DM Healthcare, formally launched the new upgraded Quaternary Care Super-specialty healthcare facility Aster CMI Hospital at Hebbal, Bengaluru. 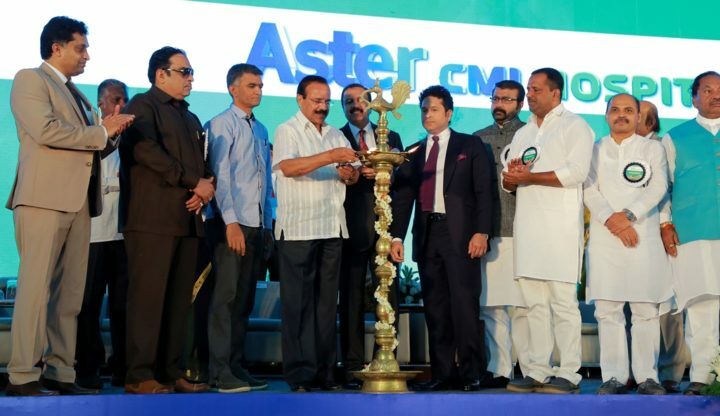 The Hospital was inaugurated by legendary cricketer Shri Sachin Tendulkar in the presence of Dr. Azad Moopen, Chairman & Managing Director of Aster DM Healthcare and several dignitaries. Representing the values that the Aster DM Healthcare holds dear as it moves forward in its caring mission with a global vision with a commitment to build a healthier tomorrow and to take healthcare to the next level of excellence, the Aster CMI Hospital sets new yardsticks in advanced modern healthcare. Present at this inaugural, the Guests of Honor included Shri D.V. Sadananda Gowda, Hon’ble Minister for Statistics & Programme, Implementation, Government of India; Shri Krishna Byre Gowda, Hon’ble Minister for Agriculture, Government of Karnataka; and Shri U.T. Khader, Hon’ble Minister for Food & Civil Supplies and Consumer Affairs, Government of Karnataka. The inauguration began with a traditional welcome to the dignitaries and guests. Following an emotional rendition of the ‘Nada Geetha’, the lamp lighting ceremony marked an auspicious beginning of the new endeavour. After the inauguration of the hospital, the Centers of Excellence were inaugurated by the Guests of Honor present on the occasion. Aster CMI also has a well-designed outpatient department offering preventive, diagnostic, curative and rehabilitative services. The comprehensive services include immunisation, health Screening, Laboratory and Radiology services and minor surgical procedures.